Is an attorney necessary when negotiating or drafting a property settlement agreement? 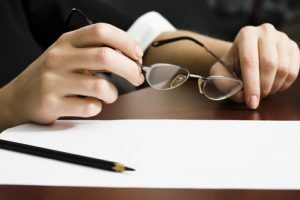 An attorney’s skill and experience is invaluable in negotiating and drafting a fair, just, and reasonable property settlement agreement in the event of a divorce or separation. The experienced attorneys at The Reed Law Firm can help you negotiate a fair and reasonable property settlement. 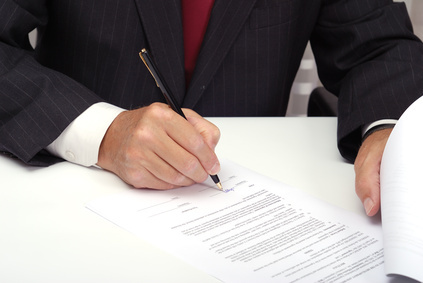 Once an initial settlement is reached, our attorneys can reduce the agreement to writing. This will allow the parties to file for an “uncontested divorce“. If you have been presented a proposed property settlement agreement by your spouse, it is imperative that you have it reviewed by a lawyer. An experienced attorney will help protect your legal rights and interests. Our attorneys routinely review property settlement agreements prepared by other attorneys. We can also assist in the drafting and revision of these documents to ensure that your legal rights are properly protected. The name “property settlement agreement” can be deceiving. In many instances, property settlement agreements also resolve child custody and visitation arrangements, support obligations. They can also resolve issues beyond the division of property. These documents are also referred to as marital settlement agreements “MSA’s” or “PSA’s”. Regardless of the name, the objective is the same. Property settlement agreements resolve, by agreement, issues arising out of the marriage that would otherwise be determined by a court. A property settlement agreement is a written contract between the parties that sets forth their rights, duties and obligations that arise out of their separation and divorce. The agreements may include such things as the division of their property, spousal support, attorney’s fees, child custody, and child support. A carefully crafted property settlement agreement is pivotal to protecting a client’s long-term interests. Rather than having the court rule upon the issues in a divorce case, parties have the option of reaching a voluntary agreement which resolves the issues involved in their divorce. The court will enforce the agreement once it is in writing, signed, sworn to by both parties, and properly notarized. These agreements are encouraged because they amicably settle the rights of the husband and wife in a binding way. These agreements can also help the parties avoid the considerable expense of a fully contested divorce. What are the benefits of property settlement agreements? In negotiating a property settlement agreement, the laws applicable to equitable distribution are often applied to the property at issue. In negotiating a property settlement agreement, the objective is to negotiate an agreement that resolves all issues involved within a divorce and separation. This avoids the need to litigate the issues in court. However, the parties can agree to creative solutions that go beyond what a court would typically order. These agreements will be enforced by the court when they are integrated into the final decree, . By negotiating a property resolution, the parties will have greater flexibility, and the opportunity to craft unique solutions designed to meet their particular needs, than the law would otherwise allow. For more information on this topic, as well as other family law topics, please see our Family Law Frequently Asked Questions page. For information on uncontested and contested divorce in Virginia, please see our divorce page. To schedule a consultation in order to discuss property settlement agreements in Virginia, please feel free to contact us.